Experts share their best tips for nipping bridal anxiety from the start. Here, how to put an end to pre-wedding stress before it takes over. Wedding planning can be stressful, but these tips will help you overcome that pre-wedding anxiety. If you're feeling particularly anxious about your impending big day, don't fret—these feelings are perfectly normal. Not only are you about to become legally bound to another human being (albeit, the love of your life), but you're also about to do so in front of dozens—if not hundreds—of family members, friends, and maybe even a few perfect strangers. That's quite a big, life-changing deal. "We have this mistaken notion that life should be anxiety-free, but this idea is totally false," says Kevin Gilliland, Psy.D., a clinical psychologist, mental health expert and author of Struggle Well Live Well. Plus, he points out that a little pre-wedding anxiety is actually beneficial for brides. "It helps us pay attention to things, plan, make lists, and double-check the really important things, like making sure you have the rings," he adds. Still pre-wedding nerves are certainly not the most comfortable thing to deal with, especially in the midst of everything else you've got going on. 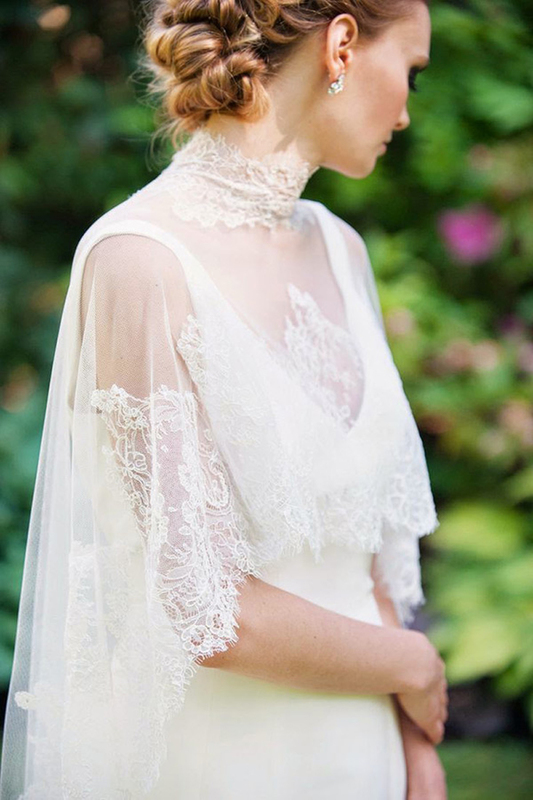 Here are some expert-approved tips for nipping bridal anxiety in the bud so you can focus on enjoying every moment of your big day. Start out with realistic expectations. You're making a pretty big commitment here, so it's no surprise if you're feeling a little (or a lot) anxious. "It doesn't get much more important or emotional than a celebration of marriage," says Dr. Gilliland. He recommends communicating your expectations, hopes, fears, and dreams with your significant other, being mindful of the topics that carry a great deal of emotions. "Also, make note of the areas that you might have some ridiculous ideas and expectations—we all have them and a good partner helps us see them," he adds. "When anxiety is allowed to build, it can be overwhelming and debilitating," says Dr. Gilliland. "We usually do that by allowing a thought to run rampant in our head until we've spun it up into a big catastrophic story and we don't know where it came from." To help keep your thoughts in check, he recommends talking to a close friend or your wedding planner who can help settle your mind and reassure you that everything is unfolding just as it should. It's best not to hold in concerns that are lingering and bothering you during the wedding-planning process. "Know that your situation is unique, but that there are others out there that can help you cope with what you're going through," says Marni Amsellem, Ph.D., a consultant in a private psychology practice in New York. "There is no need to keep it all in." Maintaining and continuing a self-care routine is key during this exciting time. Kendra Kubala, Psy.D., Philadelphia-based psychologist, suggests meditation, exercising, staying organized, and making time for your partner to help ease your mind. Whatever activities help you relax should be top priorities in the months, weeks, and days leading up to your wedding. Keep stress levels low will help you manage your anxiety and clear your mind. While the advent of social media and websites dedicated to planning events are fun and helpful in many ways, Dr. Kubala warns that they may also contribute to festering feelings of inferiority or that you're not doing "enough" as a bride-to-be. "Trust me, no one will miss those confetti-filled envelopes that you 'must have,'" she adds. Literally. "The relaxing kind of breathing where you push your stomach muscles out to active those deep breath muscles," says Dr. Gilliland. "It is insanely calming to your mind. If you need help, my favorite app at the moment is Headspace."